“Do anything you must, but keep me forever.” As a note, an e-galley of this novel was sent to me via NetGalley by the publisher in exchange for an honest review. This does not effect my opinions in any way. For quite some time, I've heard about Tiffany Reisz and her prowess when it comes to erotica. 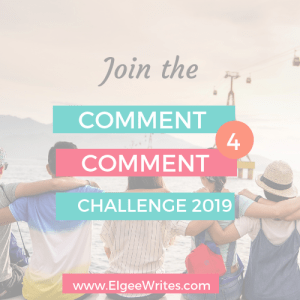 I'm a bit picky when it comes to what I read of the genre, and romance in general, so I often took these recommendations with a grain of salt. When I came upon a galley of this latest novel by her, I took a chance and I'm so very glad I did. I own several of her books at the recommendation of others but have yet to really stick it out with one. I will say it now: The Red sold me 100% on her works. You've already heard how absolutely filthy The Red is but none of it comes to close to the experience of reading it. If ever there were an "I need a cold shower" read that breaks through your own boundaries and desires, it's this one. Reisz pens a crisp and clear tale of sexual awakening and it's full of taboos that you'll find either arousing or uncomfortable. I doubt very much so that there will be a gray area when it comes to The Red because it's that book. I so rarely find myself blushing from erotica or literature in general, but on many occasions I was squirming and flushed from the content of this book. Good morning, readers! Today is the day. 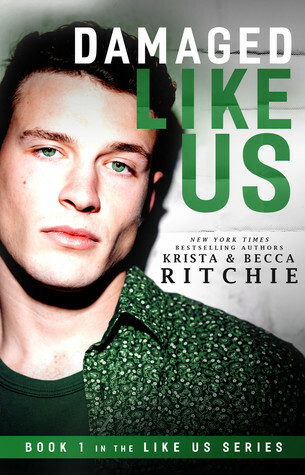 Sure Thing officially has a cover and it's oh-so-dreamy! Is your romantic heart going wild, like mine? I'm stoked to be able to share the cover reveal with you all today and can't wait to hear what you guys think. When I first heard about Sure Thing by Jana Aston I just knew I had to--ahem--get my hands on it. Now that I've seen the cover? Swoon. I most definitely need to get my hands on it. Jana Aston is here to slay your hearts, ladies! I'm sure of it. Now, uh, I have to, uh, go take a cold shower and well. *Clears throat* Anyways... we're back. I'm back. Whatever. Sure Thing is at the top of my list of most anticipated romance releases and it comes at the perfect time: October 10th, 2017. Yes, that feels like forever away--but... well, we at least have time to gather our thoughts and drool over the cover, right? Follow the cut for your first look at the novel's cover art as well as an exclusive snippet and all the down and dirty deets. Fans of YA and Urban Fantasy rejoice! Melissa A. Craven returned to Emerge on August 28th 2017, with its next installment Emerge: The Captive. It's bound to be just as suspenseful as its title hints it to be. I'm so excited to celebrate the release of this book with longtime fans and new alike! Emerge: The Captive promises to be full of action, mystery, romance and coming-of-age qualities. One thing is apparent from the start--it's definitely addictive and powerful. I'll let you find the pun in that statement, after you read the blurb. If you are new to Craven's Emerge series, I urge you to check it out by following the cut! Plus, there may or may not be an incredible giveaway involved. Hint: there is. And it's beyond incredible. Happy release day (or, ah, week) Melissa! Here's to plenty more! There had never been any line between them, only his own stupid fear and pride. Because from the moment he'd pulled her out of that mine in Endovier and she had set those eyes upon him, still fierce despite a year in hell, he'd been walking toward this, walking to her. So Chaol brushed away her tears, lifter her chin, and kissed her. 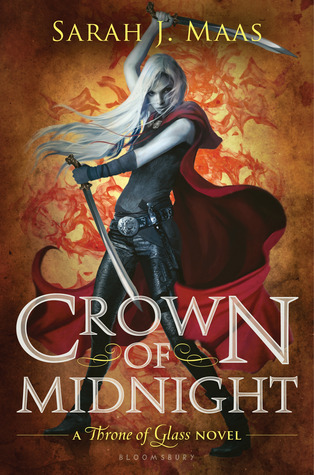 I opened Crown of Midnight with equal parts hopefulness and hesitance. 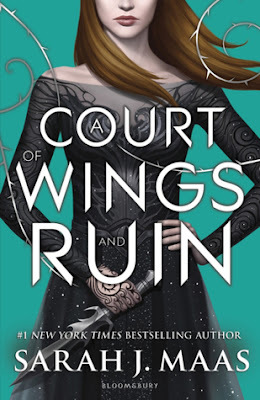 On one hand, I knew that Sarah J. Maas has this gift of words--fleshed out characters, the world building of A Court of Thorns and Roses. On the other hand, I wasn't altogether wowed by the introduction to the series in Throne of Glass. I liked the characters and the plots just fine, and it was enough for me to pick up this book, but not enough for me to sit still and read it straightaway. In fact, if I'm being quite honest, I was on the verge of setting the book aside for the first quarter of it. I felt not unlike I did during Throne of Glass in the sense that it was just okay. I enjoyed it but wasn't captivated. In true Sarah J. Maas fashion, however, when I picked it up again and stuck to it the novel was as compelling as it could get. Back were the elements of violence and intrigue; a word of royalty and the probability of magic. Not to mention friendships, romance and enemies. Looking for a thrilling new read to start your September off right? You're in luck! I am so excited that ZERO REPEAT FOREVER by Gabrielle Prendergast is available now and that I get to share the news! If you haven’t yet heard about this wonderful book be sure to check out all the details below. To sweeten the deal, his blitz also includes a giveaway for a signed hardcover of the book courtesy of Gabrielle and Rockstar Book Tours. So if you’d like a chance to win, enter in the Rafflecopter at the bottom of this post. Oh, I know I have your attention, don't I? The ultimate throwback. Once a Gossip Girl, always a Gossip Girl. Do you love romance? Fairy-tales? Or in particular... true Cinderella stories? Did you answer yes? Then set your calendars to September 27th, 2017, for Chasing Ella by the wonderful Jillian Quinn! "Every Princess needs a Prince Charming..." really sets up the mood! I'm so excited to share this gorgeous cover reveal with you guys--one things for sure: I'm definitely going to be picking up a copy of this beautiful novel once it comes out. Who can say no to such a plot? I know I can't. The romantic in me is rearing her head right now and I'm pretty much hearts-in-my-eyes over this book already. Happy release day to The Dazzling Heights--one of my most anticipated reads of 2017 and at the tip top of my list of favourites of the year. 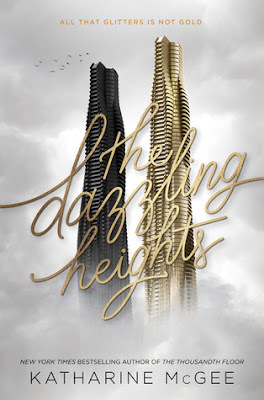 After the shocking end--that death, that cliffhanger--in the stylish and intriguing first installment of Katharine McGee's dazzling series, The Thousandth Floor, I was completely and utterly hooked on what comes next. Although I was deeply saddened by the death of one character (who, of course, happened to be my favourite) I knew I had to get my hands on all future installments. 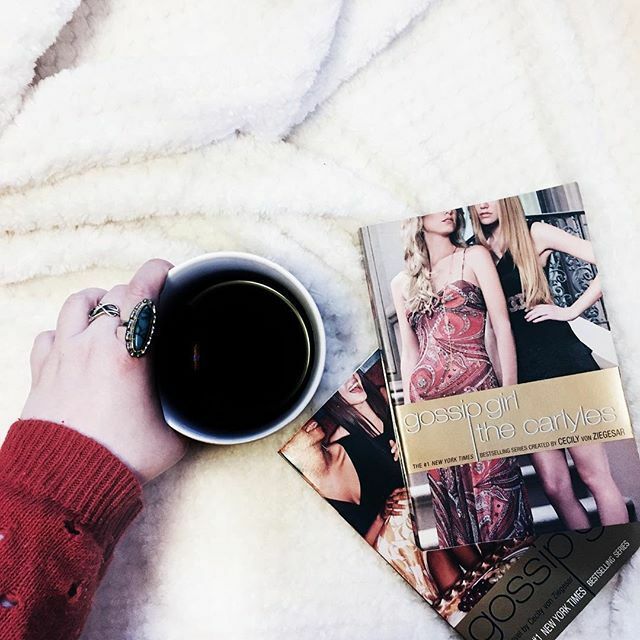 Between The Thousandth Floor and Kevin Kwan's Crazy Rich Asians series, the Gossip Girl hole in my literature-loving heart is being filled slowly but surely. I'll start off by saying that Katharine McGee has this undeniably smart, sizzling and steamy (so much S!) quality to her writing that is fun and compelling. It's intelligent and mysterious. I feel instantly captivated by it and maybe a little nostalgic. Reading The Dazzling Heights felt like I was reuniting a part of myself that had been long MIA. I anticipated the release not unlike I used to for new books in the Gossip Girl, The A-List, Pretty Little Liars and Private series. This was my very first Paige Toon novel and I'm so very glad I picked it up. I was promised a good old fashioned escapists read and that's exactly what The Last Piece of My Heart served me. I loved it for that reason! But also... didn't always connect with it for the very same reason. That sounds odd, doesn't it? Well, I can't think of any other way to put it. There are books that are just so beautifully crafted that they leave a mark on your heart and this is one of those. Which is why I'm not going to point out the parts of the novel that just weren't for me. 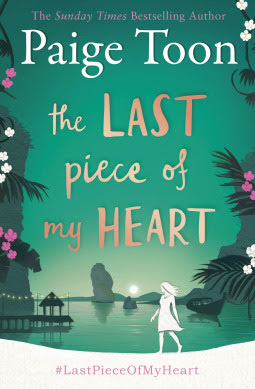 Flaws are an ever present aspect of life and literature, and there's just no point in me tackling them in this review because The Last Piece of My Heart was much more than its flaws. And if this is only the beginning of what Paige Toon has to offer? I'm definitely giving her archives a second glance. I was very fascinated by the plot-line of this book because, frankly, I haven't read many with this POV. Although it has its rough patches and a lack of unpredictable revelations, The Truth We Bury was a very compelling and thought provoking read that kept me glued to its pages. Certainly not my favourite or least favourite book of the year, Barbara Taylor Sissel crafts a twisty tale of questions and mystery. Most important to note is the way that it tackles PTSD and the emotional tugs it provides reader from start to finish. I find that the realistic approach it took towards a lot of mental health and the complexities of human emotion was refreshing and, at the end of the day, the biggest plus about the novel itself. Told in two points of view, we really get to know the characters on a highly intimate level and to see the contrast of each of them as well as the past and what we imagine the future might hold. 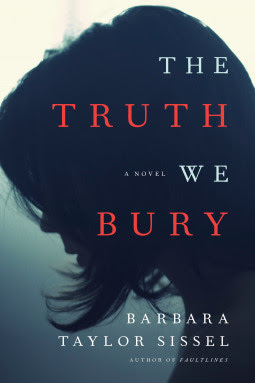 Full of secrets, mystery and intrigue--The Truth We Bury tackles more than just one plotline and genre, tangling up the reader and the story until many will lose track of their own reality. To me, that's what reading is all about. If "What if your husband turns out to be the man sent to kill your ancestor?" doesn't intrigue you, then I don't know what will. Angela Quarles' sweeping tale of romance and time-travel will surely captivate a specific audience (you're already listing one massive comparison, aren't you?) once they read a brief summary of Must Love More Kilts. August 29th, 2017 (or today, if you are reading this post straightaway) gives us the release of the highly anticipated fourth book in the Must Love series and I know you can't wait to curl up with this steamy, intriguing read this autumn. So grab a blanket. Make it flannel. A nice warm drink. And indulge in a little romance. Join me in celebrating this thrilling release and give a round of applause to Angela Quarles for what is sure to be a stunning installment! To read more about the book, and to enter a seriously fabulous giveaway, follow the cut. "I hoped for someone who wasn't afraid to put me in my place, someone who made me feel human. I hoped for someone who could be strong so I could be vulnerable, but still never make me feel weak or less than. I hoped for trust and understanding and an innate love of my family." Ladies. Darling. Ritchie Squared. Queens of Romance and Making-Jessica-Feel-Things. Can we just sort out a few things first? Like, your complete ownership of my wallet? At this point, I may as well just sign the damn thing over to you. I'm not mad about it. At. All. I'm so happy to see the delicious and emotion-packed stories continue on with this spin-off of Addicted. When I first read the previous two series, I had no idea what I was getting myself into but at this point it's beyond safe to say that my #GIRLS Krista Ritchie and Becca Ritchie have shaped my twenties in the same way that J.K. Rowling. The biggest thing to note about their characters is that they become a part of you almost instantly. I've got bits of them scattered throughout me now and forever. I'm not even being dramatic about it. I'm consistently impressed with every novel I have picked up by Sibel Hodge. Each time I check out a book penned by her, it's better than the last. 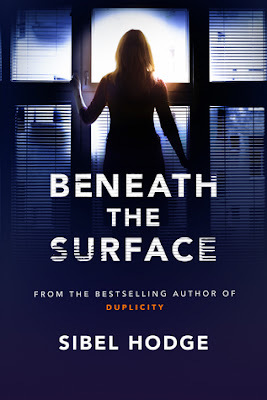 If you're looking for a psychological thriller that will keep you on the edge of your seat, she is fast becoming one of my go-to authors. Beneath the Surface is the type of novel that is thought provoking, heart racing and truly thriller. I finished it in one sitting because it got under my skin and held me in place. I had so many questions. Similar to the way that Gillian Flynn, Paula Hawkins, Mary Kubica and Megan Abbott, Hodge just has that way with words. Velvety smooth. Dark. Honest. A little terrifying. When I say that she gets under my skin, I mean it--and in the best way possible. Sibel Hodge, in short, reminds me why adult thrillers are my favourite genre a good chunk of the time. I like to get my heart going crazy and to think. I like to be compelled. I'm not going to stress this any further but, I adore the sensations that come with reading Sibel Hodge or any of the other bad*ss ladies I listed above. Mermaids are so in right now! No-one knows that better than M.E. Rhines, who's latest dive into Mermaid Royalty comes front and center with Swim. If you're like me, you're a massive fan of fantasy. Fairy-tales are always a perk in literally any story--Rhines has concocted an intriguing mix of genre and is sure to captivate her target audience with this latest release. Which is why I'm so beyond thrilled to celebrate the release of Swim! If you haven't already heard about this upcoming release, follow the cut for more information and a delicious giveaway. Good luck to those who enter. Congrats, M.E. Rhines, on your release day! 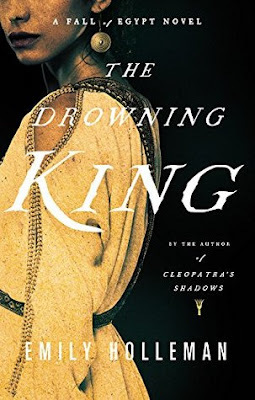 (3.5* stars)When Emily Holleman first released Cleopatra's Shadows and the galley found its way to my mail box, I just knew that Holleman was someone to watch in the world of historical fiction. While The Drowning King, the second in her Fall of Egypt series, is less compelling to me than the previous installment; there is something utterly astonishing about the way that Holleman crafts this passage of time and history. What's for certain, is that she captures it all vividly and doesn't slack out on research like many others in the genre. Tricky as it can be to navigate history and turn it into something both realistic and fictional, Emily Holleman is the rarity of modern authors who can express so expertly. Truly, the tales she weaves are bold and telling without watering down the aspects of who these names were once upon a time. Coherent and woven bluntly--that's what you need to know about her prose. All you need to know, before picking this up, is that Holleman does not play around. Looking for a steamy new read to pick up where your summer left off? Undressed (The Men of West Beach, #1--out August 27th, 2017) will surely quench your thirst. Autumn may be fast on its way but this new release by Kimberly Derting will surely heat up your day/night. Join me in celebrating the release of this can't-miss contemporary! I know I'm excited. If you haven't heard of this upcoming release, be sure to take a peak under the cut. P.S., there is an absolutely amazing giveaway in celebration, too. Be sure to check it out and join me in squealing endlessly--good luck! Who's a big old sucker for novels based around female friendships? T H I S L A D Y.
I'm waving my hands around a bit manically right now. When I read the description of this delightful book, I knew I had to pick it up. Let me start off by saying that Maria Murnane has this refreshingly pretty prose to her that is incredibly satisfying. By pretty, I mean real and vibrant. 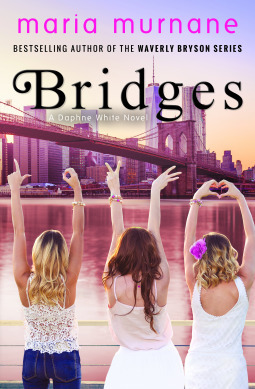 You're going to love the way she explores life and friendships and so much more throughout Bridges. She's definitely someone to keep an eye out for. What I enjoyed most--beyond the setting and the characters--is that the way Murnane writes about friendship is completely realistic and true. Sometimes, keeping up with friends can be tricky and full of self conscious hits on who we are as women. It's a very human trait that is portrayed to a point that you can really see yourself in the characters. I loved that this wasn't sugarcoated or brushed aside like it was nothing because the way we see ourselves has everything to do with, well, everything. Nostalgia, I'm ready for you! A blast from the past, this dive into the Archie Archives is just as trippy and fun as you expected. 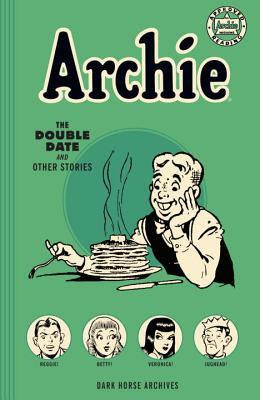 It's a total must-have for anyone who is looking for a bit of cheery fun and lifelong Archie Andrews fans will surely enjoy this bit of time travel. I've been a fan of Archie all my life--the good, the bad, the classics, the modern. If I've had access to it, I've definitely read it and tripped over myself somewhere in the process. An American classic, Archie Andrews has always been a staple in comic books and as the times (and the plots change) this never does. With the recent release of a new-Riverdale, with the CW's hit show adaptation and new comics such as Archie, Vol. 1: The New Riverdale and the horror filled romps of Afterlife with Archie, Vol. 1: Escape from Riverdale and Chilling Adventures of Sabrina, Vol. 1: The Crucible--Archie Andrews is as popular as ever and with good reason. Is this going to be appealing to all Archie fans? No, probably not. As someone already said, a lot of the stories haven't particularly aged well. I have a confession to make. My name is Jessica and I could never dislike a book if it's written by Neil Gaiman. 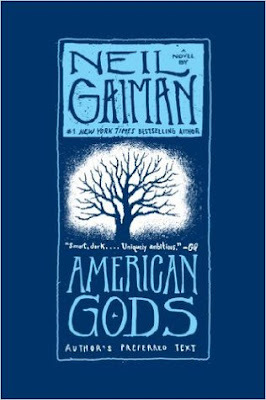 From Coraline to The Ocean at the End of the Lane all the way to American Gods Gaiman has always known how to tug at me and keep me in place to devour stories. He is, perhaps, one of the greatest authors of our time and will surely (hopefully) go down as a classic amongst generations to come. American Gods proves this once again--and has, thankfully, aged really well since its original release. What I loved most about American Gods is its dreary tone that never shakes free. One of Neil Gaiman's signature traits is his deliciously dark and bold prose; something that is featured heavily in all of his works to date. I find it dreamy. Weird. Fun. Dark. A little dangerous and creepy. I'm never quite sure how to explain his way with words to newcomers but I can easily tell you it is something that you'll want to get lost in. When I picked up American Gods I devoured it within a few days. 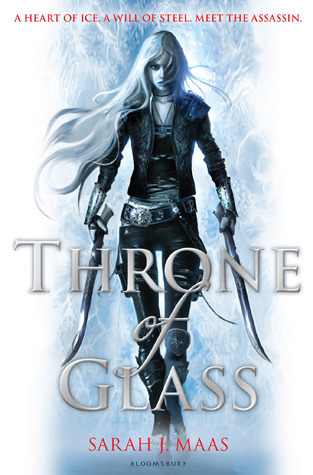 I should clarify right off the bat that I didn't hate Throne of Glass at all. If I am honest, it was compelling enough to want to continue the series but it didn't necessarily wow me as much as the incredible Sarah J. Mass' A Court of Thorns and Roses books did. You know what I mean? I enjoyed the novel as an introduction but I have one foot on the outside of the line just as a precaution. That being said... I can't pinpoint the exact plotlines that just lacked compulsion for myself. I enjoyed the characters. The plots. The action. The mystery. The intrigue. But, but, but--some parts felt familiar even the first time I read Throne of Glass that combined both unique traits and lackluster, common ones. I felt that a lot could have been upgraded throughout each chapter and that because of this, more than a few moments dragged by slowly. Besides the minor, obvious flaws: I still thought the novel was entertaining. Although many things felt like an echo of other stories, there were many more positives than negatives. The characters were awesome and I can't just pick out my favourites from a line-up. No favourite ships, no favourite characters, because all of them have this equally fulfilling chemistry and intrigue to them. I'm not saying that others don't, or won't, have their own favourites but for me what made Throne of Glass all the more enjoyable was because I seemed to have a level like for almost everything. ‘I find that happiness can always be recollected in tranquillity, Ma’am,’ said Melbourne. When Melbourne spoke, it was in the voice not of the urbane Prime Minister, but of a man of advancing years who is facing the loss of the only thing that is still capable of bringing him joy. ‘You know I was, Ma’am." 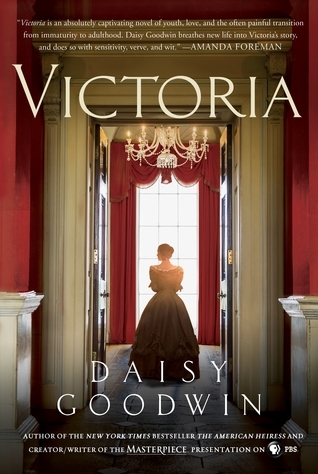 I'll be honest--I wasn't sure I'd like Victoria despite my love of both that era in history and historical fiction. This is, of course, due to the delightful prose that Daisy Goodwin takes on, weaving both a solid narration with as much accuracy as you could hope for in modern fiction. You don't have to be a history buff to get into this one. Although it is a fictional telling of one royal reality, the tone is smart and indulgent; sweet and utterly compelling. Further, it's a tale of coming of age in a very unique circumstance. You know when you read a series that is just so consistently good you have a bloody book hangover for days and days afterwards? Well, this is THAT series. Truly, Sarah J. Maas (hand-clap emoji) did (hand-clap emoji) t h a t . She is *that* b*tch and it is glorious. And lastly, D.) Make you need a massive bottle of wine, an entire pot of coffee or whatever your favourite drink is. Heck, you can go wild on an XXL Icee or tap water. The point is... I need a drink. I wasn't sure I was going to like Nerve all that much. I had the same feeling when it came to my approaching the film adaptation of the same name. Perhaps this is why I found Jeanne Ryan's story to be both thrilling and entertaining--I wasn't sure what to expect. Both are exceptionally different yet undeniably similar tales and this is neither good nor bad. What I liked about Nerve was the terrifying aspect of how far someone will go to get what they want. Whether this be material goods or an audience. It's this fact that makes the novel appealing the most. The concept is simple and modern--one game. You're either a watcher or a player. Truth or dare minus the truth. There's that creepy edge to the story as it dives deeper into Vee's tasks and the dares not only get more complicated, the stakes become higher. Suddenly, the game knows far more about her--her fears, her desires, her friends and family--than she'd like. Seeing the blurb on the book that said "fans of The Hunger Games will like this" put me off for a hot minute, but the further I read--the more I saw that this would be true. Much like with the capital and the games, Nerve showcases one group of people in a light that is partly cruel. I think Ryan capture this well... that to some people, life is nothing but a big game and people are just pieces to the board. Melissa de la Cruz has been one of the most consistent names on my shelves. From my early days of reading every Gossip Girl style series I could find, she has pretty much owned my heart in a way that other authors couldn't. The one thing that de la Cruz did in terms of standing out amongst the genre was make familiar tropes (rich kids doing what they want, stylish scandals, etc) smarter with ditching the fluffy aspects of it. I will always love her work. I always feel good after picking up a new release or an old favourite by her. Most of my high school years were dominated by her delicious vampire series Blue Bloods and the frothy goodness that was The Au Pairs series. My adult years followed close by with The Beauchamp Family series and more recently (and, apparently, canned) The New Blue Bloods Coven series. 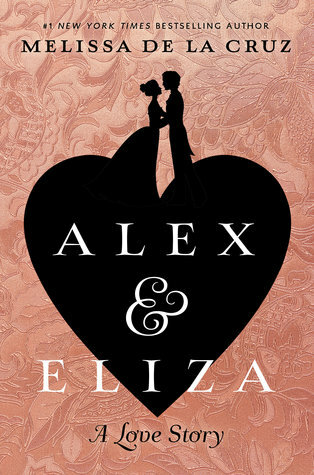 When I heard that she was releasing a young adult historical fiction novel that was inspired by Lin-Manuel Miranda's brilliant play Hamilton (one of my favourite musicals since Rent and Hair) and the real life love story of Elizabeth Schuyler and Alexander Hamilton, I pretty much spun around like a child in excitement. Alex and Eliza wasn't at all what I expected and this is perhaps the best thing about the novel itself. I am so excited that THE HUMMINGBIRD HEART by A.G. Howard is available now and that I get to share the news! For those who are fans of richly drawn Gothic fiction--A.G. Howard is the ULTIMATE go-to author for you. If you haven’t yet heard about this wonderful book by Author A.G. Howard, be sure to check out all the details below. The series is definitely can't miss, much like her YA trilogy Splintered. Romance, intrigue and mystery? Check and check. 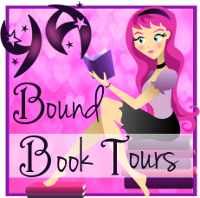 This blitz also includes a giveaway for a 5 AMAZING Prizes courtesy of A.G. and Rockstar Book Tours. So if you’d like a chance to win, enter in the Rafflecopter at the bottom of this post. Join me in celebrating the release of what is sure to be one of the best publications of 2017! July is typically reserved for the red, white and blue here in the states. I like to refer to it as "That month where my hillbilly neighbors are always loud, drunk and blowing off fireworks" aka the number one most stressful months for my dogs. I was pretty much over the month before it even began and spent most of it comforting one of my dogs, who is positively terrified of fireworks. A lot o this month was dedicated to library books and me cleaning the entire house, as the month came to a close. Just a few weeks to prepare for Becca's week long visit, after all! I also out of the blue decided to rewatch The Hills. What better way to blow off steam in the summer months than watch reality television of the past? *As always, images posted in roundups are square dimensions only. You can find me here on Instagram.